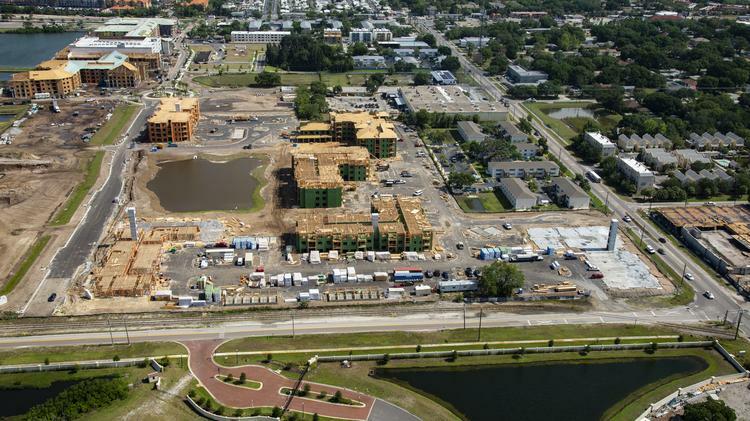 After a $12.5 million land deal with a Florida homebuilder, the master developer of Westshore Marina District is beginning to shift its focus to the retail portion of the mixed-use project. Fort Lauderdale-based BTI Partners on Monday said that it has sold 9.5 acres of waterfront land — which is south of Gandy Boulevard and Bridge Street — to WCI, a division of Lennar Corp. that already had a presence in the district. The new acquisition brings WCI’s total holdings in the district to 11.85 acres. WCI is already building townhouses on its smaller tract of land; it will build three- and four-story luxury townhouses on the water. Related Group and Bainbridge are under construction on apartments; BTI is building the condos within the project. The first tower, Marina Pointe, has $52 million in reservations. Those reservations will begin to convert to contracts this month, and BTI expects to begin construction in the fourth quarter. With that activity underway, BTI is now focused on preleasing the restaurant and retail space in the district, about 70,000 square feet total. BTI is handling the retail leasing in house, said Beck Daniel, managing director of BTI. BTI is looking for established local and regional retailers that create unique experiences, Daniel said.